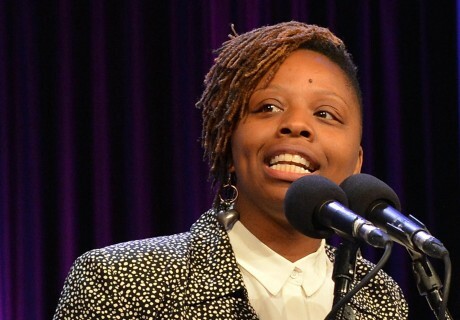 Most prominently known as a co-founder of the #BlackLivesMatter movement, Patrisse Cullors has been an outspoken advocate since she was a high-school teen. Growing up in Van Nuys, California, she witnessed family members cycle in and out of jail. In 1999, her older brother was almost killed by sheriff’s deputies inside Los Angeles County Jail and, in the aftermath, Cullors saw how her mother had nowhere to turn for help. Cullors’ lifelong vision is to eliminate state violence against people of color in communities throughout California and, ultimately, the nation. Her specific focus over the next few years will be to leverage her community organizing expertise to replace mass policing with locally driven strategies for community protection and safety. Through her Leading Edge fellowship, Cullors will create a mechanism for support and response for people of color and low-income communities who are frequent victims of police violence and mass incarceration. She is building an online and on-the-ground Rapid Response Network to combat police violence and to respond to trouble and harm within communities, making mass policing unnecessary. Cullors aims to use the tactics that gave rise to the #BlackLivesMatter movement to organize marginalized communities to count on one another to solve problems—and to rally for change when the state violates its sworn duty to protect and serve. Her aim is to cut in half the number of incidences of state violence on the streets and in targeted county jails. The statewide Rapid Response Network is based on a local model Cullors developed for Dignity and Power Now, a Los Angeles-based grassroots organization she founded to demand civilian oversight of the LA County Sheriff’s Department after the ACLU found it systematically abused inmates in its county jails. 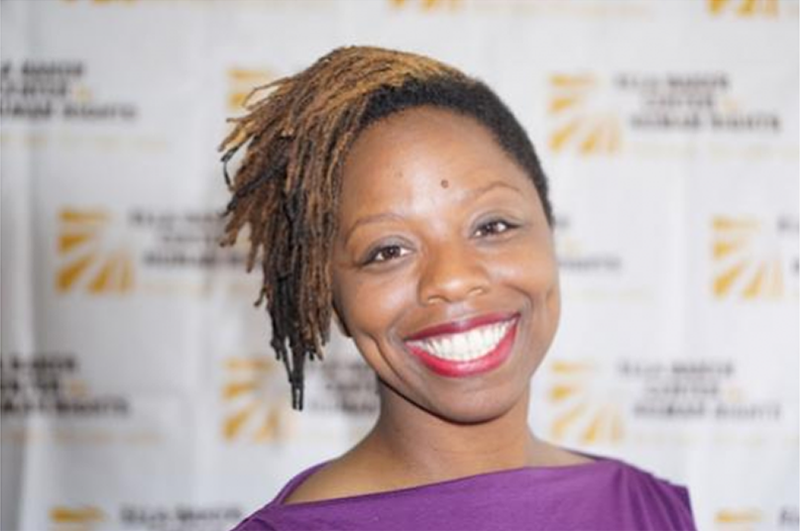 As the current Special Projects Director for the Ella Baker Center for Human Rights, she helped the ACLU develop and launch the MobileJustice CA app, which allows people to record police misconduct and automatically sends files to the local affiliate offices. Local rapid response teams, called “Justice Teams,” already are in place in Los Angeles, and Cullors is a beneficiary of that community support for her brother, who is schizophrenic. The team is made up of a small group of people who help Cullors’ brother find legal help, housing, jobs, and medical attention, as well as act as liaisons with the police to avoid further violence. As a first step, she will scale up these teams in nine counties throughout the state, organizing, training and supporting tens of thousands of Californians in quick mobilization and advocacy. People who have gone through similar experiences and understand how to navigate the system will be available through a 24-hour hotline to offer guidance on next steps, which could include filing a complaint against an offending officer, organizing a local protest or demanding the officer be fired. The teams also will work to address the long-term consequences of trauma on communities through healing practices. The comprehensive effort will include an online hub with resources for communities. A primary goal is to hold law enforcement accountable by documenting incidents and sharing with city council members and county board of supervisors, which have budget and oversight authority over local law enforcement agencies. Cullors hopes to pressure these governing bodies to redirect resources away from law enforcement and invest in healthcare, mental health, employment and other community services.